Mark your calendars for the Salem Open Market! October is one of the best times to visit Salem, Massachusetts, the “witch town” known for its sinister past and spooky aura. For the entire month of October, Haunted Happenings takes over Salem to celebrate Halloween and fall in the area. 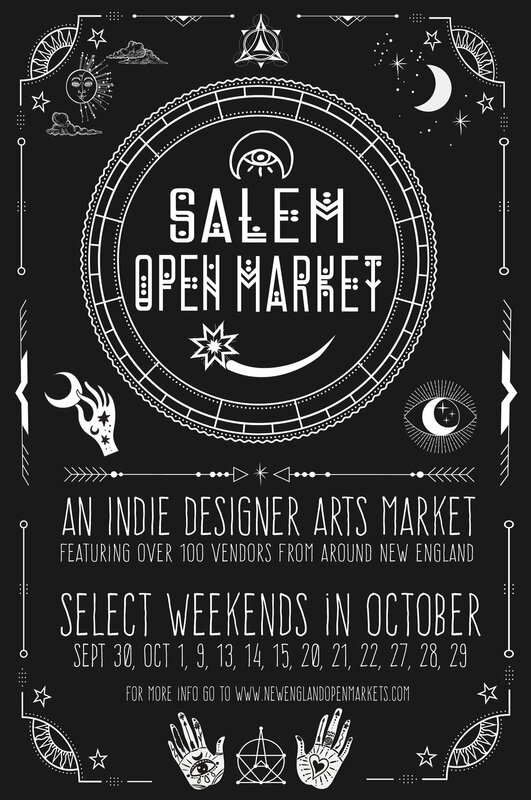 Now in our 6th season, during Salem Haunted Happenings, the Salem Open Market hosts over 100 select vendors on historic Derby Square and Essex Street in downtown Salem, MA.